You may have seen that Facebook is removing Partner Data from targeting options as a result of regulatory pressure. It’s important to familiarize yourself with the upcoming changes, as we lose these targeting sources on June 30th. Here is what is going down – and more importantly, how you should change your strategy accordingly! Currently, Facebook has relationships with 3rd-party companies that provide data on users, which Facebook then adds to all the data they collect from their platform. It includes data from providers such as Acxiom, Oracle Data Cloud (Datalogix), Epsilon and Experian. This type of data has been around for about 5 years – it is nothing new. The data was aggregated among users anonymously, so it wasn’t used to identify any specific users. Basically, how it worked was that when people made a purchase offline, their data was then given to Facebook so advertisers could use it to target them with ads. There were hundreds of these categories available, with data on tens of millions of people. How Can You Tell Which Of Your Ad Sets Will Be Affected? Any of your ad sets using the partner categories listed above will be affected. These ads sets will become inactive after June 30th, 2018 – so make sure to change the targeting to non-partner categories before then! Partner Categories have not come under specific scrutiny from lawmakers yet – but Facebook is proactively phasing them out this year as a precaution. It will be slowly removed over the next 6 months. We weren’t too excited about this change, as frequent users of the partner data. However, there are many workarounds to this, and your targeting can still be just as effective. It just requires some changes to the way things are done. Lookalike Audiences: These are much more precise than Partner Categories at targeting the type of people you want to reach. You upload a list of your customers or prospects, and Facebook finds more people like that (similar interests, demographics, and behavior) to serve your ads to. 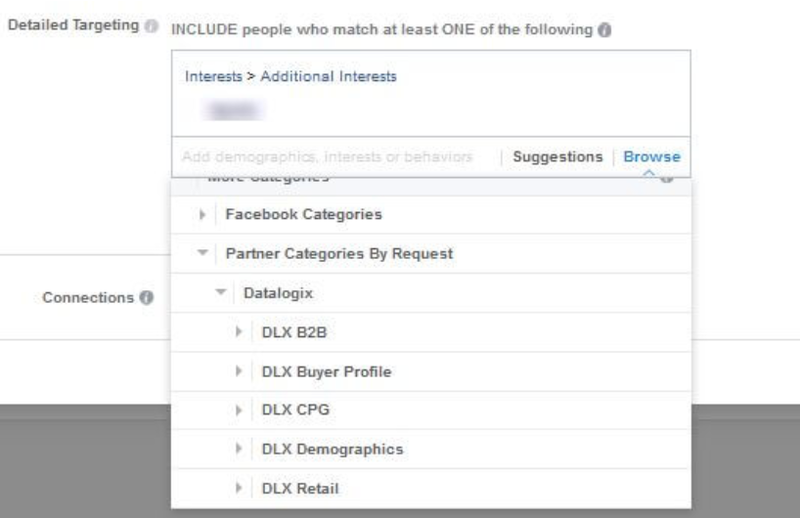 Facebook Interests: You can still target people on Facebook based on the types of pages they like and their online activity. So, instead of targeting high-income users, you could instead target people interested in things that wealthy people are interested in (like golf and private jets). Automatic Bidding: One bidding option is to allow Facebook to automatically adjust your bids to hit the people who are most likely to click or convert. This allows you to automatically hone in on the right people – without any targeting adjustments on your end. Demographics: Finally, you can still target by age, gender, and geography. Geography is a very powerful option – different geographies have vastly different average income levels, common interests, and age groups. So, no need to worry! Change up your game plan, and keep rockin.